Douglas A. York is President of Rodefer Moss & Co, PLLC, a public accounting firm. Mr. York has served as a Director of First Savings Bank since 2008. Frank N. Czeschin is President of Indiana Utilities Corporation, a natural gas distributor, President of Southern Indiana Pipeline Corporation, a natural gas transporter, and Managing Partner of Zabel Builders, LLC, a residential construction company. Mr. Czeschin served as a Director of Community First Bank. Mr. Czeschin has served as a Director of First Savings Financial Group, Inc. since 2009. John Colin is an attorney and partner in the Corydon law firm of Simpson, Thompson and Colin, LLC. Mr. Colin has served as Chairman of the Board of First Savings Bank and has been a Director since 2011. L. Chris Fordyce is a farmer in Washington County, Indiana. Age 61. Mr. Fordyce has served as a Director of First Savings Bank since 2009. 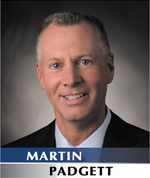 Martin Padgett is the President and CEO of Clark Memorial Hospital. Mr. Padgett has served as a Director of First Savings Bank since 2015. Michael F. Ludden serves as Vice Chairman of the Board of First Savings Financial Group, Inc. and First Savings Bank (the “Bank”). He is President and Chief Executive Officer of L. Thorn Company, Inc., a construction materials distribution company. Mr. Ludden has served as a Director of the Bank since 1992. Pamela Bennett-Martin is President of Bennett & Bennett Insurance Agency. Ms. Bennett-Martin has served as a director of First Savings Bank since 2009.